The Applecross Rotary inaugural Rotary Shark Tank Event was held on 7 March 2018. Four of the finalists presented their pitch for support to a panel of Sharks. 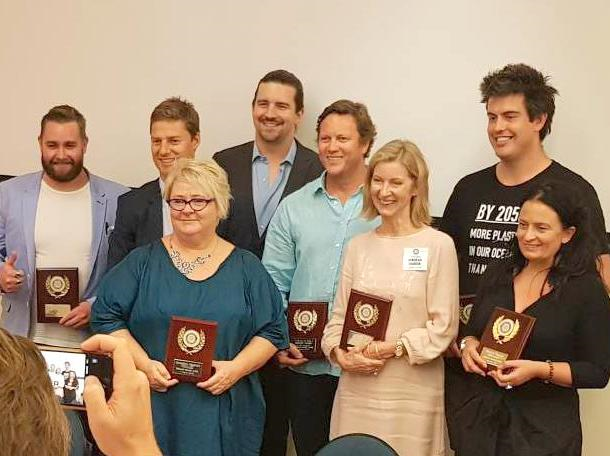 Pictured above are (L-R) Kohen Grogan and Dylan Smith (Sharks), Geraldine Maddrell and Stuart McLay (Finalists), Ian Costley and Deborah Barker (Sharks), and Darren Lomman and Kirsten Shearn (Finalists). The fifth finalist was Aden Date, who appeared via a pre-recorded video and then was quizzed by the Sharks via a live Skype connection to his Sydney hotel. All of the five finalists including Aden had four minutes to make their pitch, and then the Sharks had 6 minutes to grill them.